Flooring store specials in Savannah, Ocala, Lakeland, Ormond Beach, and Tallahassee. We save you time! We save you money! 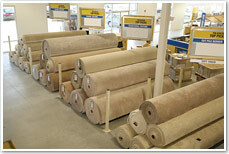 A warehouse Outlet for carpet and flooring located in Savannah, Ocala, Lakeland, Ormond Beach, and Tallahassee. Our Warehouse Outlet stores are overflowing with carpet, hardwoods, laminates, waterproof flooring, ceramic tile, and more! We have over a million square feet at each location: Ocala and the Villages, Daytona and Ormond Beach, Lakeland, Tallahassee and Savannah. We keep our overhead low, our warehouses overstocked and our prices are unbeatable! Shop here first. We save you time. We save you money! 6 Big Ways we Save you Time and Money! 1. 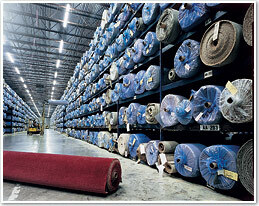 We partner with the world’s largest flooring manufacturer, and have more in-stock flooring (over a million sq ft!) assuring you will find the floor you want today! We save you time! 2. Our warehouse stores are designed to have low overhead so we can pass the savings on to you – We Save you money! 3. The Georgia Floors Direct family of stores have locations all over the south eastern United States, allowing us to buy and stock huge inventories in central warehouses and we pass the savings on to you! We pay less, so you pay less! We Save you Money! 4. We connect you with the finest installation team and you pay them directly, avoiding the usual mark up you’ll find at other retail flooring stores! We save you money! 5. We pride ourselves in offering some of the most unique and resilient floors being manufactured today. Exclusive Finds! We save you Time! 6. Georgia Floors Direct Family is composed of knowledgeable staff who pride themselves in knowing about all types of flooring. The floor you choose should be conducive to your lifestyle – our team of professionals will help you find that perfect floor.